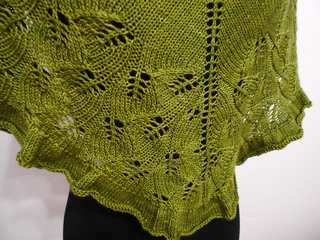 This is my first ever design shawl and I came up with a combination work of simple stockinette stitches, leave lace pattern and ruffles for it. 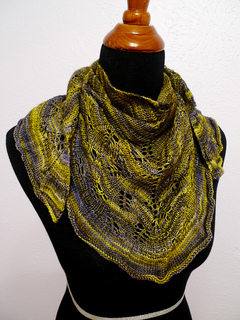 I used two different brand of sock yarn to knit this shawl and they turned out equally nice. 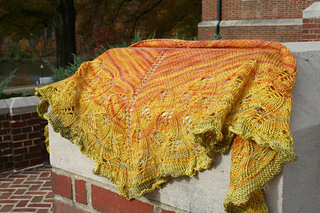 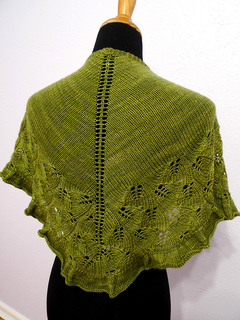 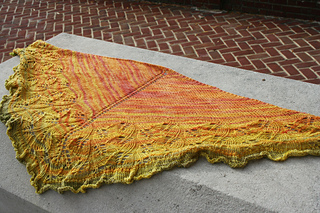 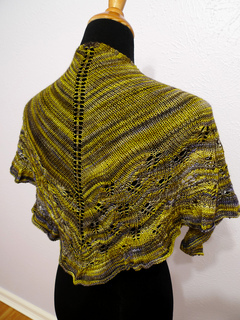 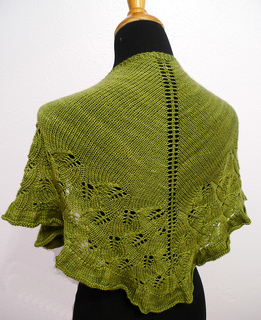 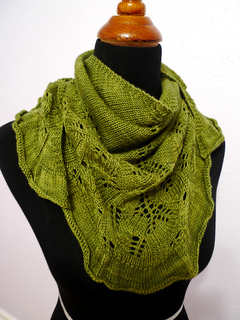 This shawl requires about 400 yard of yarn with using only one size of needle. 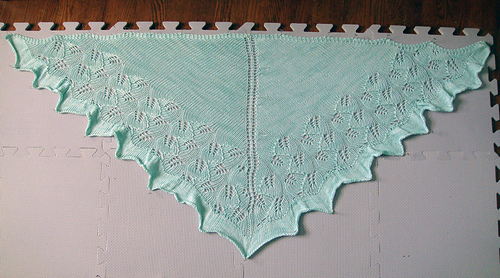 It is worked from top down, with 3 garter stitches at the beginning and the end of every row. 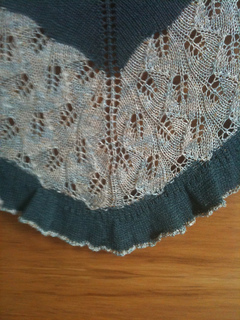 I would rate this pattern’s difficulty as EASY because the lace pattern itself is indeed very easy.